The Sony Xperia XA Ultra is powered by the MediaTek MT6755 Helio P10. That's the same chipset that is inside the 5" XA, but you get an extra gig of RAM - 3GB total. The extra gig made switching between apps smoother (the XA was already pretty snappy). The processor in the XA Ultra is an octa-core Cortex-A53 clocked at a high 2GHz. There are no high-powered cores here like in some Snapdragon 6xx or Kirin chipsets. The GPU is a dual-core Mali-T860. 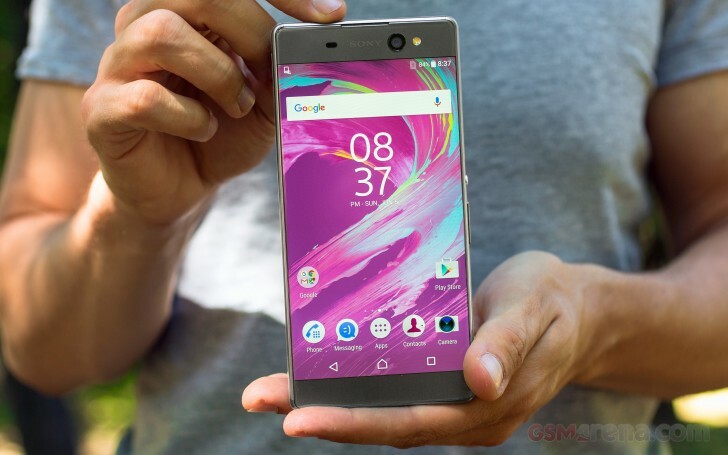 Overall performance hasn't improved greatly since the Xperia C5 Ultra, which had a similar MediaTek chipset. The Oppo R7 Plus and Motorola Moto X Play, which use a Snapdragon 615 chipset, perform about the same too. The Samsung Galaxy A8 has the same chipset but gets slightly ahead of the Xperia. The Xiaomi Mi Max with the newer Snapdragon 650 performs much better. The GPU was great for the 720p screen of the 5" XA, but the Xperia XA Ultra has a 1080p screen and a Mali-T860MP2 doesn't quite cut it. It's faster than C5 Ultra's GPU, but at 1080p resolution, it only manages about 50% of the frame rate of the Adreno 510 in the Mi Max. Basemark shows similar scores between the two XA phones, but that's because the benchmark considers off-screen performance. Games can still render at 720p resolution like they do on the 5" XA (and miss out on XA Ultra's sharper screen) or render at full 1080p, but with reduced graphic effects. Either way, the Sony Xperia XA Ultra handles apps and daily tasks smoothly, but it isn't the phone for serious gaming.